Good news for anyone who likes crisps or is watching their weight – I think that covers just about all of us, doesn’t it? I can’t pretend that I’m weight-watching myself, I much prefer to cover my eyes and sing a merry tune as the pounds creep on and invite their friends to join in, dancing around my waist. But I do love crisps. Ok, ok, I know that’s not the greatest combination – which is why I was so keen to try Special K’s new Cracker Crisps. Special K is really motoring at the moment, having invented the Biscuit Moment over the summer and now this new Cracker Crisp. The brand really is doing its best to make snack guilt a thing of the past. So it was with great excitement that I tore the top off the carton. My first surprise was that the crisps are not individually bagged inside the box. They’re just heaped in there, looking tasty, golden and plentiful. Although on the front of the pack it says 21 of its Sea Salt and Balsamic Vinegar crisps have 95 calories (94 cals for 21 of the Sweet Chili variety), there’s a whole lot more than 21 crisps in a box. So you do still need some willpower. Not so much for the Sea Salt version, admittedly, as the flavour is satisfyingly strong, but definitely for the Chili flavour, which was gorgeous. I could easily have scoffed the whole box, and would have done if TL hadn’t arrived home and caught me on the sofa covered with crisp crumbs. Not a great look. Luckily, you can also get individual bags for 60p, as well as the £1.99 box, which I would suggest are a better bet if you are calorie-counting. I’d say that Special K is really onto something with its first foray into the savoury market. Have a try – they’re in the crisps aisle at supermarkets. There’s also a sour cream and chive flavour which I haven’t tried yet, but which tends to be my favourite in Pringle form. If it’s good, I need never polish off an entire tube of Pringles at one sitting again. Whoops, did I say that? A lovely surprise last week when the doorbell rang and a slightly bemused messenger handed me a box of eggs. Not just any old eggs, but Happy Egg Co eggs (which are the type I buy anyway, as Child One and Child Two are very hot on mother hens’ rights. Not so hot on human mothers’ rights, of course, but that’s a different story). I’m not sure if I could really tell the difference between a HEC egg and an ordinary one in a boil-off, but I don’t like the idea that hens have suffered to bring me my cake ingredients. HEC hens apparently have sandpits, natural play areas and lots of activities to keep them busy. Sounds a good deal better than my own childhood. But there we are. Apparently, last Friday was World Egg Day – I know, I know – and my unsolicited eggs were celebrating that by arriving with a lovely little egg cosy, in the shape of a hen. A happy one, of course. How lovely, and thank you! Arklu, a London-based toy company, has just launched the Lottie doll, an antidote to all those slutty-looking Bratz and Barbies. Barbie, of course, can’t actually even stand up, due to her vast plastic breasts, giraffe-style legs and teeny-weeny footlettes. Bratz dolls can stand up all right, but they look as though they ought to be doing it on street corners, touting for business. Are these really suitable lynch-pins for all our daughters’ role-playing games? I used to agonise over this, and my answer was to try and buy Barbies that were mermaids or fairies, hoping the addition of wings and tails would underline the fact that these were semi-mythical creatures, not anywhere near being real women at all. I don’t know if it worked or not, but it made me feel better. 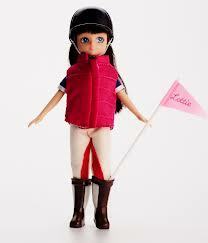 We only had one Bratz, and she was decapitated early on. I declined to do my usual rehab on her and she met a sticky end, sadly a fate which all too often befalls her real-life counterparts. Lottie, however, couldn’t be more of a breath of fresh air. She is a normal shape and size, with no breasts, pouty lips or exposed thighs. Her physique is, in fact, modelled on a nine-year-old’s, based on dimensions devised by leading British academics. She is also shorter and more portable than her endlessly (pointlessly) leggy rivals. And she can stand on her own two feet! I was really thrilled to be sent the DVD of What to expect when you’re expecting. I’m a sucker for rom-coms, which of course are not really up TL’s street at all, while the girls often see the pick of new releases with friends. I’d missed this one at the cinema so it was great to see it at home. I watched it with Child Two, so we were a) a woman whose last experience of pregnancy was 14 years ago and b) a teenager who (I very much hope) will not experience gestation, child-birth or bringing up babies for about a decade. Even though neither of us were in the catchment age group, we both laughed all the way through. I particularly loved the gang of dads, doing their best to make toting a feeding bottle look cool. Um, it doesn’t. Great stuff for an easy, fun night, with nice performances from Cameron Diaz, Jennifer Lopez and Dennis Quaid. I just happened (ahem) to pop into the Rosendale pub in Dulwich the other night, and saw that the place was festooned with rather interesting posters, advertising a Mums’ Night Off. It’s happening on Thursday 18th October (this Thursday) from 7pm, with tickets at £15, a complimentary glass of bubbly and a goody bag for everyone. Companies like Kit and Kaboodle, Pure Vintage, Neal’s Yard and Bloomers will be there to pamper and cosset us in the style we deserve. And cocktails will be £5 each all night. It’s all organised by Mums on the Go, with lots more details and tickets available from their website. Sounds like a fun way to catch up with friends, have a bit of a treat and support some local businesses. It’s got my name all over it!